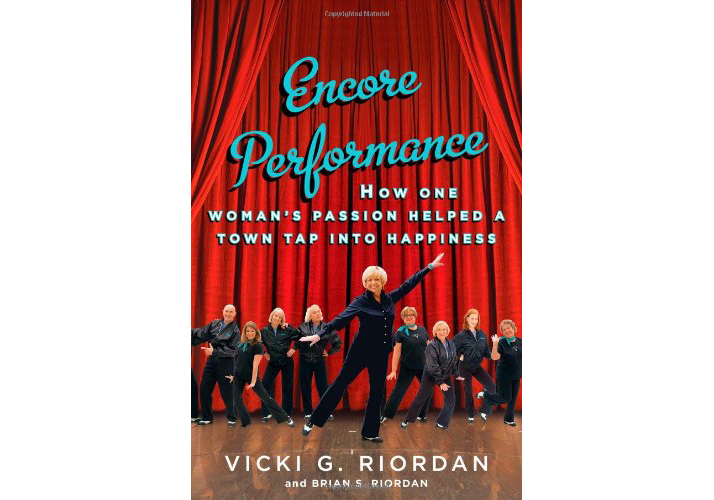 “Riordan recounts her rediscovery of tap dancing, which allowed her to find balance in her turbulent life. The 60-something author, a divorcee and mother of two, spent much of her career as a secretary and office manager. Before she embarked on that life, however, she had a stint, right out of high school, as a dance instructor in her hometown of Steelton, Penn. As she struggled to understand her husband’s alcoholism and subsequent abusive behavior, she eventually conceded that she needed to leave him and strike out on her own. While looking for practical work, she was often drawn back to her role as a dance instructor. She had a particular passion for tap. When she began teaching on the side for extra money, the old steps began to come back to her. Creating programs aimed at older adult women, Riordan first taught a modest class of fewer than 20 students. After retiring from her day job and committing herself to teaching, she now has more than 500 students based in Harrisburg. Her “Tap Pups” are one of America’s largest adult tap dancing organizations. In addition to the story of the Tap Pups, the author reflects on her simple beginnings and subsequent married life. From her father’s death as a teenager to the early courtship of her high-school sweetheart, Riordan draws readers in to her deceptively intriguing life.